A common misconception is that RS Turbos are unreliable cars. This is largely untrue because the reliability of an engine is down to several factors which are often overlooked or ignored with these cars. As standard the RST engine will last for 150,000 miles plus if looked after. The only problems likely to occur are general wear and tear. Cams usually last about 60,000 miles before replacement and other items such as bearings will need to be renewed as needed. As a turbocharged engine runs at a higher temperature than a normally aspirated one, it’s important to change the oil regularly. Ford recommend every 6000 miles, every 3000 is a wiser choice for optimum smooth running. A full synthetic oil should be used with a viscosity rating similar to Mobil 1 Motorsport 15w50 or Castrol RS 10w60. Note both manufacturers offer oil under the same name that is too thin for the CVH turbo engines - “regular” (non Motorsport branded) Mobil 1 and the “new style” Castrol RS. The problems start to appear when the engine is modified. Incorrect or badly set up modifications can shorten the life of an engine drastically. On the other hand a well set up car, looked after properly, should provide many thousands of miles of performance with no reliability issues. Note that it’s impossible for anyone to guarantee that an engine will not fail, there are too many possibilities to take into account. Even a totally standard unit can encounter unpredicted difficulties. The most common form of engine failure on the RST is damage to engine components due to excessive turbo boost pressure. Detonation, also known as Knock or Pinking, is one such issue - uncontrolled combustion increasing heat and pressure within the cylinder. This is caused by an incorrect mixture of air and fuel or excessive cylinder pressure. Detonation on an RST is usually down to one of several factors - too much boost pressure and not enough fuel, charge inlet temperature (ACT) abnormally high or a boost and fuel setup not matched to the compression ratio of the car. An all to common scenario is an owner turning up the boost without making any other adjustments. It will go faster sure, for a short while, but inevitably damage will occur. Another issue is the inlet charge temperature rising to a level that the air expands, increasing cylinder pressure levels. Although the fuelling may be correctly set up, an ineffective intercooler or chargecooler will fail to maintain an ACT that the engine can handle. The standard intercooler on an RST is adequate for the standard boost level (~8psi) but over 10-12psi and it struggles to cope. Many people ignore the cooling setup when tuning an engine, failing to realise the problems that can occur, and that a lower ACT will actually gain power due to the colder air causing more volatile combustion. It’s entirely possible that turning the boost down and fitting better cooling will gain power. 10psi with a good cooler will more often than not produce a higher power figure than 15psi on the standard item. In short, if you turn the boost up without adjusting the fuelling expect it not to last very long. 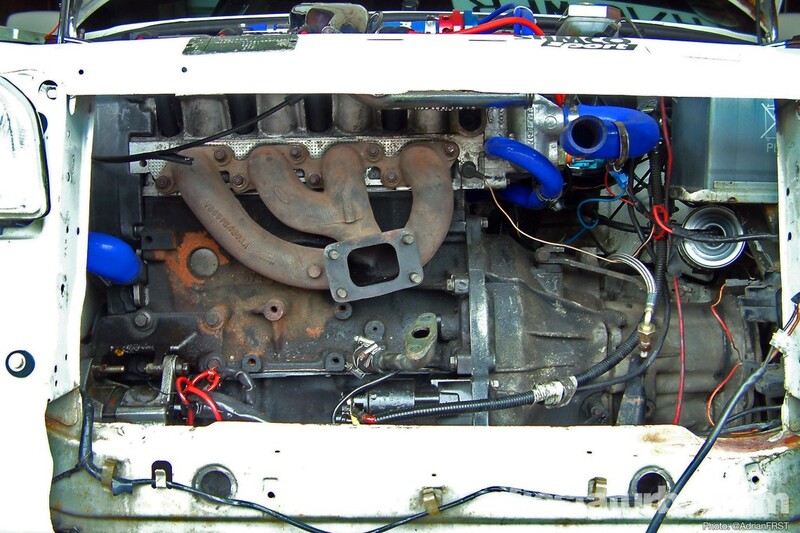 Premature turbo failure is usually due to excessive boost levels. The standard RST turbo can last for well over 100,000 miles if looked after and run at standard pressure (~8psi). It is when this pressure is increased that damage occurs. The turbo has to work harder to provide the extra boost and as logic would suggest, this shortens it’s lifespan. On the FRST T2, anything over 10psi is starting to push what the unit will handle, and cracked housings are common. The ERST T3 is better, but will still fail if pushed too hard. Hybrid turbos are designed and built with the components to operate at higher boost levels and the correctly specified unit should be just as reliable as a standard unit running standard boost. Another cause of both engine and turbo failure is oil starvation - oil failing to reach places it’s normally supposed to lubricate or cool. This includes the turbo housing and top end of the engine. Components are not properly lubricated so accelerated wear occurs. This can be anything from premature cam wear to full on engine seizure. Oil starvation can be caused when normal wear material collects in oil galleries and restricts the flow to critical areas. Similar to cholesterol in human arteries. Another way is fuel or coolant leaking into the oil and diluting it. Oil pump failure or other loss of oil pressure will also cause starvation. Always use genuine Ford parts, not pattern parts. Especially for gaskets and other critical components. If fitting a manual fan switch, ensure the thermostat / sensor controlled fan still operates as normal. Avoid “DIY” boost control devices such as bleed valves and in car boost adjusters. Always let the engine warm up to operating temperature before driving hard, and let it cool down afterwards before switching off.